Accidentally Vegan: Dandies Vegan Marshmallows from Chicago Soy Dairy! 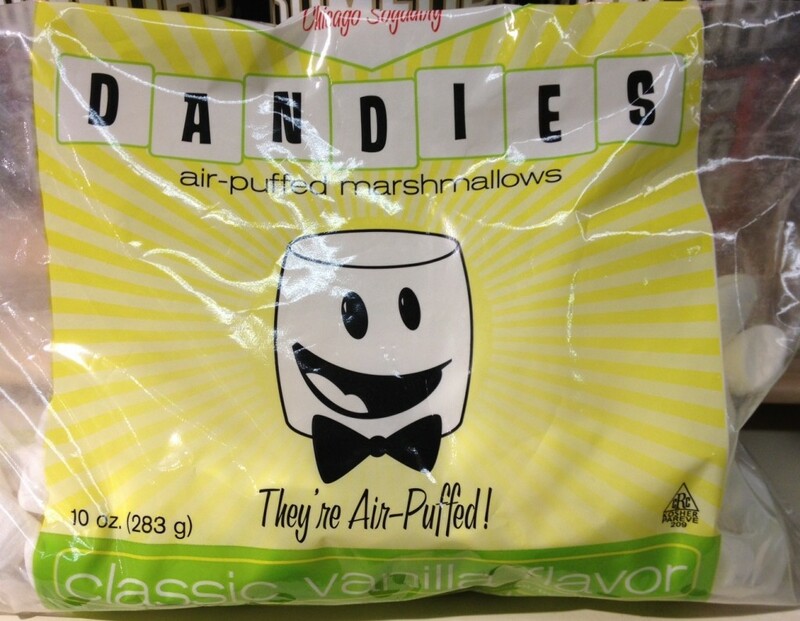 This week’s Accidentally Vegan feature is…Dandies Vegan Marshmallows from Chicago Soy Dairy! Have you been looking for vegan marshmallows? Are you missing rice krispy treats and smore’s?? Thank you to Chicago Soy Dairy for making Dandies, super yummy vanilla vegan marshmallows! We met the awesome folks at Chicago Soy Dairy at the NYC Vegetarian Food Festival last year and sampled their marvelous marshmallows. We haven’t seen them available at the Pittsburgh market until last week! If you live in Pittsburgh, you can now find these super yummy vegan marshmallows in the baking aisle at Whole Foods. If you don’t live near a Whole Foods, you can buy Dandies online through Amazon. YUM! We’re so glad to be able to make vegan versions of our favorite gooey treats. Thanks Chicago Soy Dairy! 2) They’re labeled as vegan and taste so amazing that we want to make sure you know about them!